TMCF is the only national organization founded for the sole purpose of providing scholarships to students attending the nation’s public Historically Black Colleges and Universities (HBCUs). In addition to scholarships, Thurgood Marshall College Fund (TMCF) provides leadership development and training as well as programmatic and capacity building support to its member-schools. 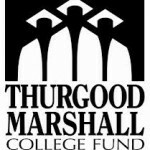 Since its inception in 1987, Thurgood Marshall College Fund (TMCF) has provided scholarships to qualified students attending its member-schools. TMCF scholarships have provided support to help fund an education at one of our nation's public Historically Black Colleges and Universities (HBCUs). TMCF scholarships are merit and need-based. In addition, the scholarship application process is highly competitive and most awards are limited to students attending TMCF member-schools, which are public Historically Black Colleges and Universities (HBCUs). To view a list of our member-schools please click here. Occasionally we offer scholarships to students not attending these schools. These scholarships are indicated on the scholarship page when applicable. Are merit based and applicants must have a financial need to qualify. Are restricted for payment of tuition, on campus room and board, books and fees. Are paid directly to the college or university on behalf of the award recipient to be credited to his or her school account. The average award is $3,100.00 per student per semester. Most scholarships are one-year, non-renewable unless otherwise indicated. In 2012, then-Secretary Hillary Rodham Clinton announced that 100K Strong would work with TMCF to create a scholarship fund for students enrolled in an HBCU to study in China. The scholarship fund would be administered by TMCF, but available to any HBCU student, public or private, based on financial need.